Jumla, and Rara Trek is one of the famous adventurous treks in the isolated and remote wilderness which offers you an opportunity to explore the unexplored natural beauty and cultural uniqueness of the remote people. This is one of the most beautiful areas for the national and international travelers for trekking, camping, birds watching and many more. Jumla, and Rara trek let you to know about the rare and endangers flora and fauna where it is investigated that more than 230 bird’s species come to visit this pristine area every year and around 1070 species of fauna including the beautiful national flower of Nepal, Rhododendron, brown oak, fir, birch and many more are found in this beautiful sub-alpine region. This gentle trail provides you chances to encounter with around 51 mammals of species,241 bird’s species, two amphibians and reptile’s species, three rare fish species and many more. You can witness and enjoy endanger animals like Musk deer, Red Panda, Snow Leopard, Himalayan Black Bear, Indian Leopard, Himalayan Tahr, Jackal, Otter, Yellow-throated Marten, Gray langur, Dhole, Rhesus Macaque and so on. Rara Lake is one of the biggest lakes in Nepal which is located inside the smallest and beautiful national park called Rara National Park. This stunning Rara Lake is surrounded by calm haven forests and a paradise for bird watchers. Mugu, also famous for ancient shrines to the local deity called ‘Masta’, wooden effigies of spirits festooned with cloth, flowers, bells, and rock pillars etched with figures of ageless sun and the moon. Jumla, and Rara trek begins after a flight from Kathmandu to Nepalgunj and in the same day, we take a connecting flight to Jumla or kolti then we will begin officially our trek from Jumla. Around three hours of gentle trail lead you to the popular destinations, Rara lake and Rara National Park where you can enjoy seeing various flora, fauna, and unique scenery of this area. Day 4: Nepaljunj fly to Jumla and trek preparation. Day 7: Nyawre to Chautha(2770m). Exploring small and beautiful National Park, Rara National Park.The genital trail through Wilderness. Visit remote and isolated traditional villages along the route of Rara Lake Trekking and their unique cultures and traditions. 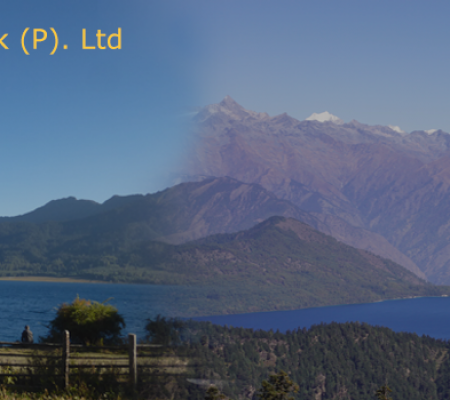 Explore the less visited areas around Jumla and Rara Lake with picturesque sceneries. Explore the largest and astonishing Rara Lake of Nepal. As you arrive at Tribhuvan International Airport in Kathmandu, capital city of Nepal, you will be welcomed by our representative and he/she will drop you to your hotel, where you can take a rest and be fresh. In the evening, our representative leader will provide you a brief orientation class about the further trek. Overnight at hotel. The next day, you need to be well-prepared for the trek. You should know all the essential factors and places while going on the trek. We will have a brief discussion about the trek in the evening. Before that, we’ll also manage for you to visit some religious and historical places in Kathmandu Valley. We will begin our sightseeing tour within Kathmandu, observing the UNESCO World Heritage Sites such as; Hanuman Dhoka Square, Pashupatinath Temple, and Swoyambhunath and so on. Boudhanath Stupa and Pashupatinath which are the most famous place in Kathmandu. Pashupatinath Temple is the most sacred site for Hindus that is situated on the bank of Bagmati River and is known as the principal temple of Lord Shiva. Soyambhunath Temple is also known as the Monkey Temple that owns a large number of monkey populations in the area. Overnight in the same hotel. Today, after early breakfast, we meet at the travel office for a final check of our gear and route. In the afternoon we take an air-flight from Kathmandu to Nepalgunj. Around 40 minutes scenic flight takes you to the beautiful city of Nepalgunj. Overnight stay at Nepalgunj. In the morning our guide will check for the best flight to Jumla, according to this we can take our breakfast and prepare for our flight. Jumla, a delightful valley where you will get chances to see wonderful rice paddy cultivations. After hotel check-in we meet up with our trekking team and do our final checks. Overnight stay at Jumla. In this day, early in the morning after having breakfast, you will head towards Padmara, which is situated at the elevation of 2900m. The way to the Padmara, you will follow Tila River, passing through a patchwork of fields, beautiful pine forest and green hills with picturesque villages. The further trail towards Uthugoan (2530m) through Padmara Valley, a forest of spruces, birches and rhododendron and finally reach to Padmara where you will get chances to witness village with chortens, prayer flags, ancient Mani walls, and temples. Overnight at Padmara. Next morning, after having early breakfast, our trail will be towards Nyawre which is situated at the altitude of 2660m. During your trail, you will pass two bhattis (tea shops) at Tharamara and beautiful forest of firs, birches, walnuts, and bamboo. Then you will follow the wonderful Sinja Khola and ultimately, you will reach to the Nyawre, where you can witness wheat and potato field. Overnight at Nyawre. Day 7 : Nyawre to Chautha (2770m). Today, our trail will be towards Chautha through Marijuana fields below Burma village, Kabra, and Bhara also known as Bhadgoan. The further trail to Chautha, you will get chances to visit large valley through Chaura Khola and eventually, you will cross this stream in the tiny village of Chautha, which is situated at the summit of (2770m). Overnight at Chautha. In this day, early in the morning after having breakfast, you will begin gentle trail and reach to the check post of Rara National Park at Bhulbule which is located at the elevation of 3130m. Here you have to pay the entrance fee for entrance to the National Park where you will get chances to encounter with various flora and faunas. You need to trek further to reach Pina through the meadow to Ghurchi Lagna Pass. Overnight at Pina. Next morning, after having early breakfast, we will head towards one of the famous and biggest lakes called Rara Lake through the beautiful pine and rhododendron forest. You will continue your trail towards Jhyari Khola (2400m), where you will get chances to witness wildlife in the forest like, musk deer and pheasant in forests filled with rhododendron, pine, juniper, oak and other beautiful natural vegetation. You will also come across several beautiful village rives in ancient monasteries, chortens, terraces, prayer flags and wonderful Mani wall. And you will finally reach Gamgadhi and stay overnight at Gamgadhi. In this day, early in the morning after having breakfast we will head towards Rara Lake, one of the most beautiful and biggest lakes, which is situated at the elevation of 2980m. The way to the Rara Lake, you will visit bamboo and birch forests and beautiful bridge. Today, you will follow the crest of the ridge, where you will get chances to experience panorama to the north, flaunting irresistible beauty and charm and you will reach to the Rara Lake. Stay overnight at Rara Lake. Today, early in the morning after having breakfast, you will explore the beautiful and longest as well as the deepest Rara Lake. You will visit around Rara Lake which is situated almost 13 KM. You can enjoy witnessing different kind of otter and fish along with this region is full of birds, flowers and wild animals. Then after you can explore the old village of Rara and you can enjoy swimming in the beautiful Lake and fine view of the lake and stunning surrounding hill from the wooden tower behind the post office of the Rara Lake. Overnight at Rara Lake. Next morning, after having early breakfast, you will leave the beautiful Rara Lake and head towards Gorosingha by following beautiful Khtyar Khola to Majhghatta. This genital trail will let you witness wonderful river, which leads straight up to the hill, ascend through beautiful pine, spruce and rhododendron forests which also offers you an excellent view of the Rara Lake and the western Himalayas. Finally, you will reach Gorosingha and stay overnight over there. Today, after early breakfast, you will head towards Sinja, which is situated at the summit of the 2440m. You will follow fertile valley and heavily populated region of Brahmin and Chettri village of Sinja, which is capital of the Malla Dynasty where you can visit ancient Malla Durbar and Tripura Sundari Temple. Stay overnight at Sinja. In this day, early in the morning after having breakfast, we will make our trail towards Jaljala Chaur which is situated at the summit of the 3270m. The way to the Jaljala Chaur, we will follow the Sinja Khola on a wooden cantilever bridge and the further trail will follow you to the Dhobi Khola. you will finally reach to the Jaljala Chaur through the beautiful pines, birches and oaks also few scattered houses and barley and corn fields. You will stay overnight at Jaljala Chaur. Today, early in the morning after having breakfast, we will make a trail through the beautiful meadow forest and impressive Chauri Khola(3090m) and you will cross a stream and contour around the head of the valley and finally you will reach to the Chere Chaur. Overnight you will stay at Chere Chaur. 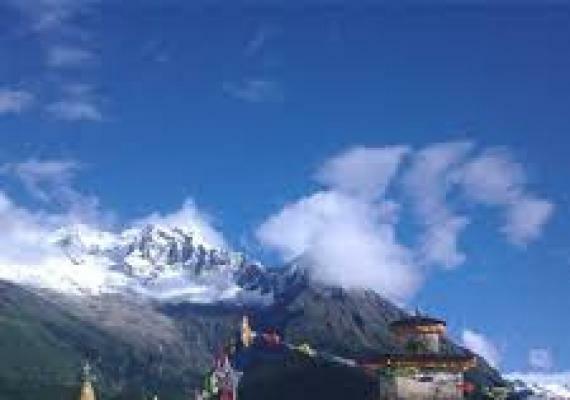 In this day, early in the morning after having breakfast, you will head towards Jumla, through follow the steep descending path with splendid views of a green hill, forests, village and ultimately, reach to the lively village Jumla and you will explore the impressive market and native settlements of Jumla. You will stay overnight at Jumla. This is your final day of Jumla, Rara and Mugu Trek. 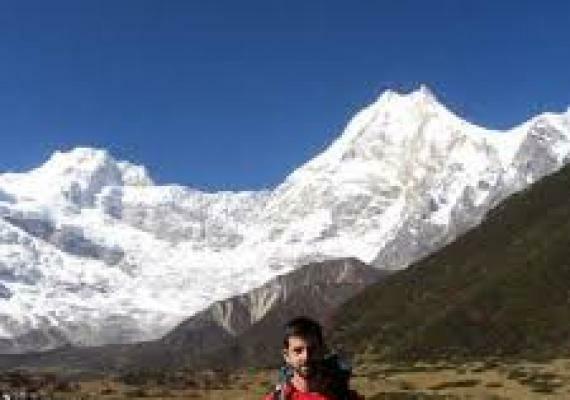 Today you will take a back flight from Jumla to Nepalgunj and after that, you will take a connecting flight to Kathmandu with the beautiful memories of the adventurous trek. After you reach in the Kathmandu we will have a farewell dinner in Nepali restaurant which represent Nepali culture. Today is the last day of your trek comes to an end of your adventurous trek. A representative will help you to reach you towards your final destination. 	Airport Pick up and Drop BY Private Vichaels. 	Accommodation and Food during the trek( Breakfast/Lunch/Dinner and Tee / Coffee each meal). 	Air Fare from Kathmandu - Nepalgunj - Jumla; and Jumla - Nepalgunj - Kathmandu. 	Excess baggages charges in domestic flights.